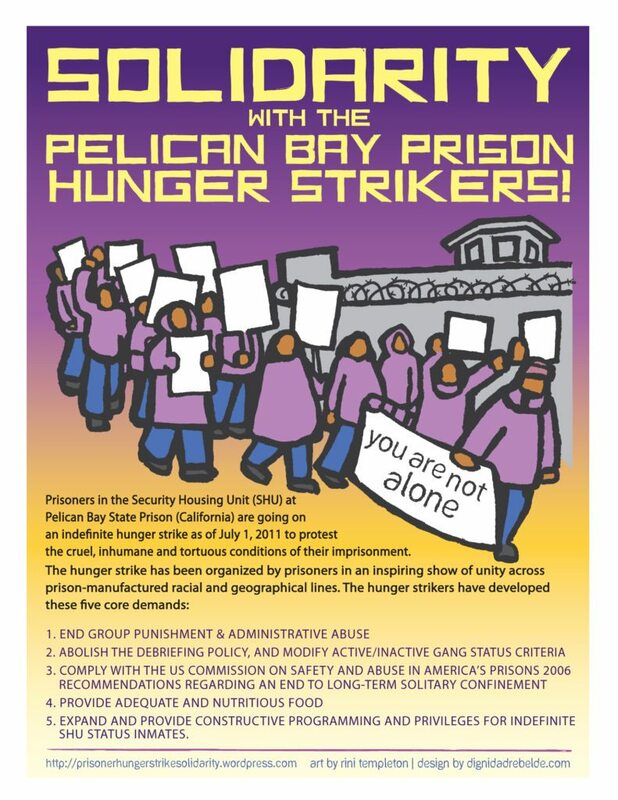 Jorge Rico is incarcerated in Pelican Bay State Prison and has brought a civil rights lawsuit challenging the constitutionality of the loud “security/welfare checks” that he (and others) in Pelican Bay’s solitary units endure every 30-60 minutes 24/7. These so-called “checks”- done by guards – wake and disturb prisoners day and night causing serious sleep deprivation and, as his lawsuit claims, constitute cruel and unusual punishment.as his lawsuit claims, constitute cruel and unusual punishment. (The guards do no checking on top of that). Sleep deprivation is internationally recognized as torture. Please RALLY at 9am on May 18 in support of Jorge Rico’s case against the “security/welfare checks” and in public outrage against the jarring noise and sleep deprivation they cause. At 10am, after the rally, help form a STRONG COURTROOM PRESENCE at the hearing in his case. Show solidarity with Jorge Rico while his attorneys argue that his case should not be dismissed at CDCR’s request. The CA Department of Corrections and Rehabilitation (CDCR) will argue for the court to dismiss Jorge’s civil rights case. Jorge’s lawyers will argue that the case against CDCR administrators, guards, and wardens, must move forward. 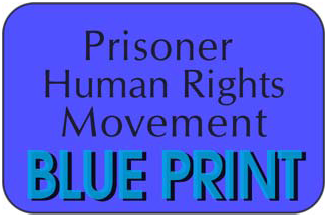 HERE is a link to Jorge Rico’s Opposition to CDCR’s motion to dismiss. 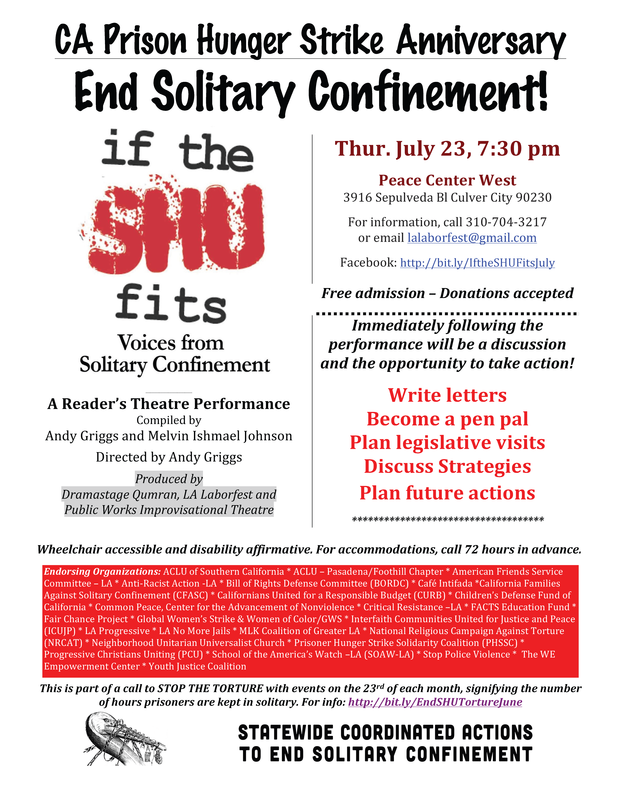 The PHSS Committee to End Sleep Deprivation asks you to help make a powerful showing of solidarity with Jorge and all people in CA solitary confinement who are suffering from the checks, and who cannot be in the courtroom or outside rallying and speaking about their experience. After the hearing, Jorge’s attorney, Kate Falkenstein, will be available briefly outside the courthouse to speak with community supporters and media. These “security/welfare checks” have been occurring for almost three years in Pelican Bay State Prison. A swift salute to all of the supporters and those concerned with the ongoing fight to reform CDCR’s ASUs [Administrative Segregation Units]. On May 28, 2017, I was “special” transferred under a warden to warden agreement to D.V.I.’s ASU. This was done as a retaliation for alerting the public of the conditions of confinement at Folsom State Prison (FSP), as well as other ASUs. I was not the only person transferred, prisoner R. Delossantos F-486401 was transferred to Vacaville CMF, merely for exercising the 602 process. 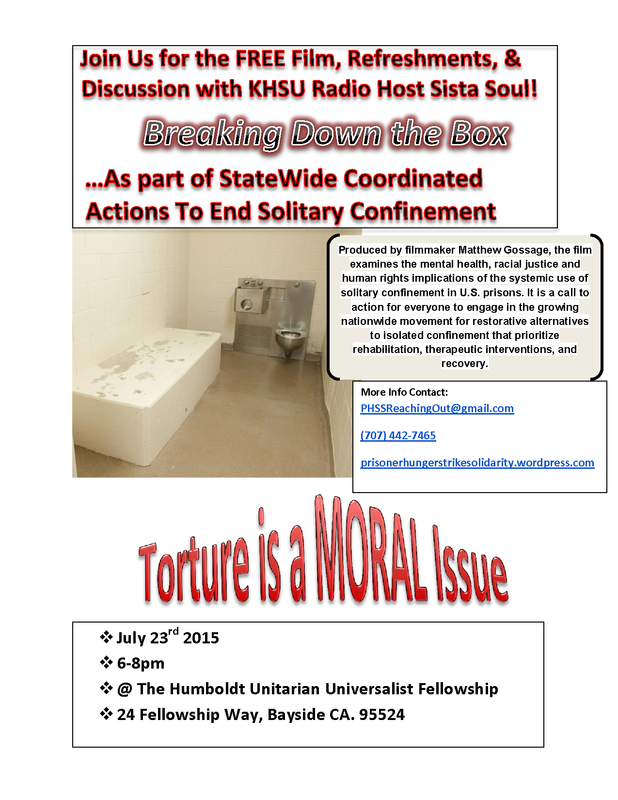 CDCR allowed FSP administration to retaliate, isolate and condone the poor conditions of ASU. I was transferred to even more extreme conditions where there exists roaches, rodents, no drinkable tap water and the sanitary conditions are that of a third world country. The fight can always continue with the outside support keeping pressure on CDCR’s top officials and administration to change the property matrix for ASU; to expand “administrative SHU” to cover long-term confinement; to implement educational opportunities, rehabilitation programs, sanitary conditions, pull-up bars in ALL cages; and force all prisons with ASU prisoners to install outlets for use of electronic appliances such as TVs, radios and typewriters. This fight affects everyone now and those who eventually come into an ASU. It doesn’t matter what group you may run with or circumstances for ASU placement, this is what it is — back to toothpaste in jelly packets, drinking out of milk cartons, clothes all tore up, freezing during the winter. ASUs are limited to housing now that the Coleman case created STRHs (Short Term Restricted Housing units), we’re back to square one. So I encourage prisoners and supporters alike with voices louder than mine, to look into this, assist me by 602ing conditions in your ASUs, for those going out on mainlines look into conditions in their facility’s ASU. I will continue fighting administration, now through the courts, and hope for relief. Any assistance, guidance or moral support from those aware or educated would be sincerely appreciated. Thank you all outside supporters who held rallies and lent their voices for change, I will not let your support go to waste. Anthony is now at “New Folsom” Prison. CDCR is punishing Anthony with a Serious Rules Violation, claiming that his hunger striking created a “gang-related mass disturbance.” Here is Anthony’s address if you want to write him.